The story is spread over few scenes, each given a proper number of panels to develop. However, with just 22 pages to cover an entire self-contained story, there are only so many developments that can be covered, and the single-issue feels very short indeed. In many ways I got reminded of the old Topps XF comics, which had many single-issue monster of the week type stories. 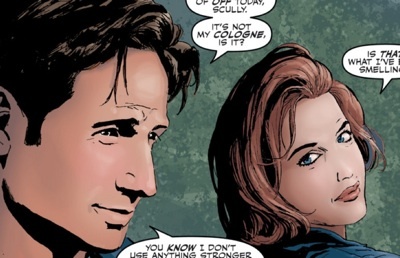 Of course as soon as you say “X-Files” and “insects” you think the mytharc’s bees and the cockroaches of 3X12: War of the Coprophages (…and then you think 9X06: Lord of the Flies), but the story here is quite original and the reasons behind the murders actually left half unexplained. We do get the appearance of a roach in a panel as if it were “breaking the fourth wall”, like in the Darin Morgan episode, where a roach walked “in front” of the screen. 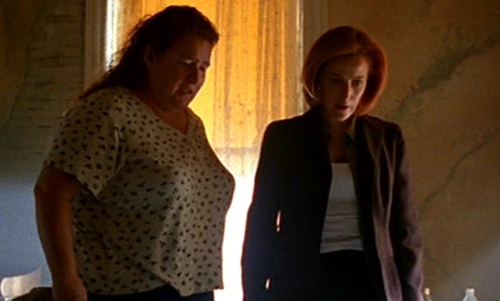 What elevates this story is Scully’s personal ordeal, and the references to wounds still open that go far back in time. “You’ve lost a child. Either recently, or a long time ago…” “The Chittering God has chosen you. 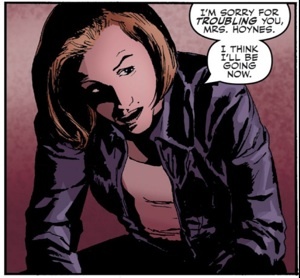 He chooses the lost and the hurting and feeds on those frailties and you both grow stronger.” Scully, as would be expected of her, and as much as she may be trying hard to hide it in her renewed role of FBI Special Agent, is deeply troubled and suffers from being uncertain of William’s location and well-being — not to mention the old but unforgettable loss of Emily. 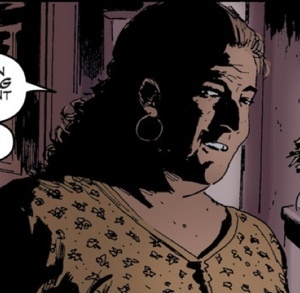 All in all, an interesting issue that proves that Harris can very well handle “Monster of the Month” episodes in the vein of the show — however a two-issue story would have been preferable. With six months of mythology issues approaching, at the end of issue #15 there will have been just 3 stand-alone issues, so there should be room afterwards for some strong Monsters of the Month. Maybe we’ll learn more about the Chittering God too? This entry was posted on Monday, March 10th, 2014 at 7:24 am	and is filed under Comics. You can follow any responses to this entry through the RSS 2.0 feed. You can leave a response, or trackback from your own site. « XFL/ETC exclusive: Chris Carter interview!